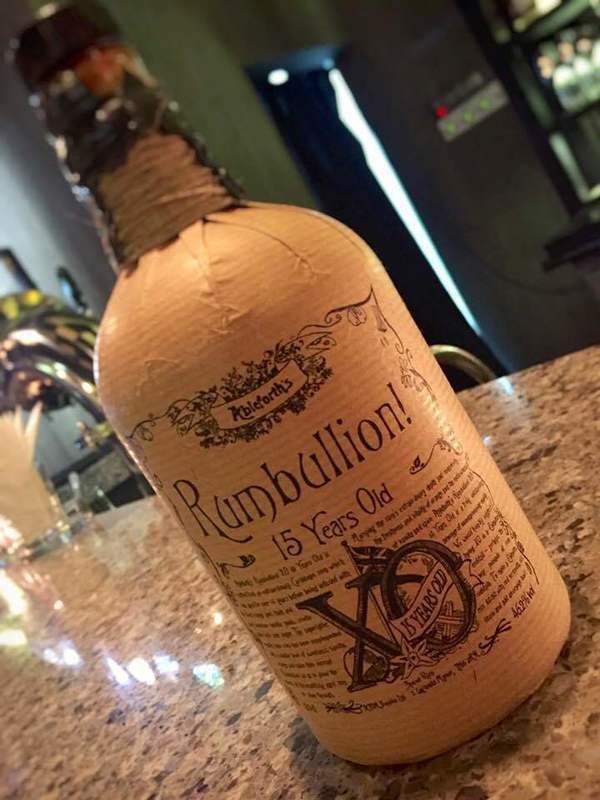 Have you found an online vendor selling Rumbullion XO 15-Year? It lives up to it's hype. It has very strong flavours to start. A mixture of of aniseed, cardimon, orange peel and a whole lot of spices. A proper "Christmas pudding" as another reviewer said. Easy sipping once it's sat on an ice cube for a minute or two. I feel like the base here could be so much on its own. As it's presented i get a lot of orange peel and lemon lime soda. Too much anise. Generally too medicinal and yet too sweet. Just not as good as i was hoping. On the background, there is interesting sweet spice. Now lets go to the negatives. The base might be rum, but the spices turn it into mouth wash. Also I noticed slight beer flavor, which does not add any points either. And it needs to be diluted with a spoon of water because 46% is too much. Cardamom, Orange Peel, Cinnamon. It was the favourite at a tasting I had with with non rum drinkers. I was expecting just a smoother version of the original Rumbullion, but what I got was a more full bodied rummy taste, and the spices were more subtle than in the original. Had very high expectations of the Rumbullion XO 15y since its so rare find here in the US, but what a big disappointment. Bottle is very nice, points to the execution, but then it's downhill from here onwards. Smell test reveals a weird metallic odor and very artificial smells. Hardly any burn, but the aniseed flavor just simply does not work for me. Flavor profile is similar to the awful Don Papa 10y rum from the Philippines which struggled to earn a score of 2. Fantastic aroma of cinnamon, cloves burnt wood etc. Reminds me of Christmas in front of an open fire! Amazing nose to start. Sweet hazlenut and nutmeg. A lot to like about the taste, starts really nice and sweet - just like I like it. Then a little spice with a medium finish. Only thing holding this down is a little bitter/tart taste that comes through. Still good sipper and I'd have it again. This 15 year old batch is very nice, and a slightly smoother improvement over the regular Rumbullion. A rum full of flavour - perhaps delivers less of a spicy punch as the original rum, but a decent sipping rum over ice. It's a bit pricey, but worth it for a special occassion. I had this side by side with Rumbullion Spiced, and I definitely preferred this one. The Rumbullion spice was mostly spice and orange, while the XO is mostly spice and rum, with a nice 46.2% kick (vs 43% for the Spiced). Smells and tastes of cloves and rum, with just a little vanilla, orange, and cinnamon. It's the added rum flavor that makes this better than the Spiced to me. Not a spiced rum fan, but Rumbullion converted me. The only reason I held back from 10 is that the regular Rumbullion spiced was better. A huge hit of creamy, sweet vanilla and juicy, freshly sliced oranges. There is a mulled wine-like delivery of toasted cinnamon and cloves. Aromatic notes of dark chocolate and fragrant oak develop in the glass. Palate: Exceedingly thick, mouth-coating palate-entry offering up orange marmalade and even a hint of blackberry. Leathery an wood provide a complex backbone alongside a huge dosing of cinnamon, cloves and liquorice. Finish: Long in fact huge! sparkling finish with notes of old-fashioned cola cubes and intense bittersweet orange. A final flutter of toasted oak appears on the tail. The spice is mostly vanilla, some anise. Very sweet. Not something I could drink a lot of, but that's pretty typical for commercial spiced rums. In stilul caracteristic dar aroma de rom este mai puternic prezentă din cauza vechimii. A very interesting spiced rum. The aftertaste was great. Nice texture. Initially this has a nice kick however the cloves and aniseed make this off putting as it is not balanced. The more you drink it starts to become cloying and disgusting. Must add that it lingers in the mouth and does not burn afterwards. The standard Rumbullion is my favourite spiced rum so I was expecting big things from this and it didn't disappoint. If there was anything bad to say about this rum it would be that it is maybe a little heavy on the cloves and star anise but its got a great kick and bags of flavour.